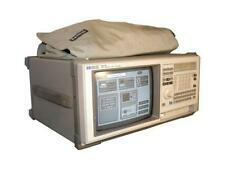 AGILENT TECHNOLOGIES 82357B HIGH-SPEED USB2.0/GPIB INTERFACE. 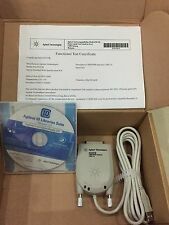 ² 1 X Agilent 82357B USB-GPIB Interface. ※ All faulty due to improper installation or improper use will NOT be covered by the warranty. We will do our best and help you provide the solution. Logical analyzer supports both: SALEAE and USBEE AX (logical part only). 1, Saleae, Logic, 24M, 8CH logic analyzer host 1. Product weight: 50g (including SALEAE, USB line and 10 DuPont lines). 1 x 24MHz 8CH USB Logic Analyzer 24MHz 8 Channel Compatible to Saleae ARM FPGA M100. Sampling rate up to: 24 MHz, can be 24MHz. 16MHz, 12MHz, 8MHz, 4MHz, 2MHz, 1MHz, 500KHz, 250KHz, 200KHz, 100KHz, 50KHz, 25KHz;. Crystal: /-20ppm, 24MHz. 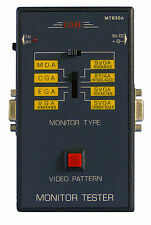 1 x Analyser Device. Tester Detector. The logic for each channel sampling rate of 24M/s. /Peak-Peak/virtual values. 1 Digital Oscilloscope DIY Kit. Screen Size: 52 40mm / 2 1.57in. Trigger Modes: Auto, Normal, and Single. 1 DIY Case. 3 User Manual(English). Sensitivity Range: 5mV/div-20mV/idv. All products are quality checked. 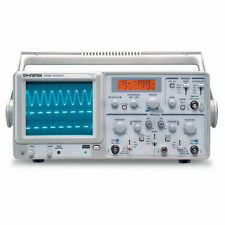 Item Type: Digital Oscilloscope. 1 Fully Assembled Digital Oscilloscope Kit. Trigger Position: Center of Buffer. Vertical Sensitivity Range: 5mV/div-20V/div (progressive in 1-2-5 mode). With 1KHz / 3.3v square wave test signal source. League, France, Russia for about 2 weeks. Comprehensive inspection. Do not worry about the whereabouts of the goods. DIY cover for DSO138 oscilloscope. 1 Cover for DSO138. Acrylic material, looks transparent(need to tear down the film). Material: Acrylic. Item Weight: 156g / 5.52oz. (E.g. you brought wrong size or wrong item). In 100% working order. DSO138 oscilloscope production suite features 1 x DSO138 Digital Oscilloscope. This is Welded(Assembled), can use directly. Sampling buffer depth : 1024 bytes. New Zealand, South Asia, East Asia. APP support multi languages, °C /°F and product with free 3M paster. - Humidity Range: 0~99%RH. - Humidity Accuracy(25°C/ 77°F, 20%~80%RH) - Alarm and data history view available. - Temperature Range:-40~60°C / -40~140°F (Inner sensor). RF SPECTRUMLYZER is the most affordable USB Dongle Spectrum Analyzer for Students, Hobbyist and Engineers. It provides great portability with its small size of 35mm (L) x 21mm (W) x 7mm (H) and weigh only 21g. DSO shell oscilloscope with standard probe. • Available rising or falling edge trigger. • Current consumption: ~120 mA @ 9 V. • Observable previous waveform before trigger (negative delay). • Trigger modes: Auto, normal, and single. 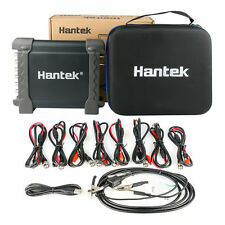 By buying this set, you can have a 2-channel oscilloscope, signal generator and component tester. 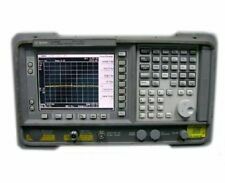 1 pc UCE-DSO212 3.2″ TFT Digital Oscilloscope. Technical information of I-V Curve Tracer. 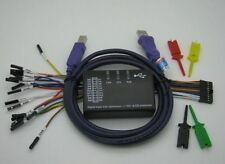 1 pc UCE-CT212 Curve Tracer Adapter Unit. Transfer of all data and power is on via the USB cable. This decision allowed to reduce the cost of analyzer ARINST SSA TG LC compared to ARINST SSA TG. Arinst SSA TG LC is a portable panoramic spectrum analyzer designed to display signal spectrums in the main frequency range from 36 to 3000 MHz. There are RS232. ----------10MHZ 50ohm---------. NOT Trimble Thunderbolt. There are two 10 MHZ BNC on SMA( Sine wave and squarewave ). DC ,,,it DC working state.Apply power on it. second one ,it will only flash ONCE when it start to working. 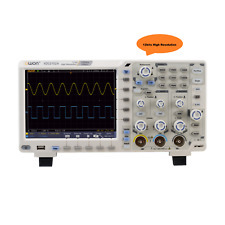 This is a pocket lightweight oscilloscope with 200M sampling rate and 30MHz bandwidth. Whether DIY or scientific research education, vehicle maintenance, household appliances maintenance and so on are all good choices. Audio input: <2V. Support 8 kinds of display effects (switch by button). defult sent White screen. Arinst SSA R2 is a panoramic spectrum analyzer designed to display signal spectrums in the frequency range from 35 to 6200 MHz. The analyzer finds the amplitude and frequency of spectral components of the analyzed process. 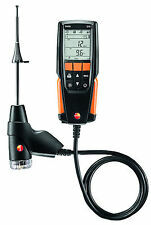 Bacharach Fyrite INSIGHT 0024-8519 Residential Combustion Analyzer. Condition is Used. The unit turns on , I do not know if it works properly. It includes the probe . Shipped with USPS Priority Mail. DSO shell oscilloscope with standard probe. • Trigger modes: Auto, normal, and single. • Observable previous waveform before trigger (negative delay). • Trigger position: Center of buffer. • Available rising or falling edge trigger. DSO-FNIRSI is a full function, high utility, high performance and cost-effective handheld oscilloscope for the maintenance industry and the R & D industry. 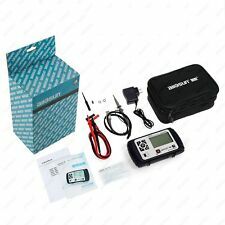 With complete triggering function (single, normal, automatic), both the periodic analog signal and the aperiodic digital signal can be used freely. 1 Temperature Data logger(Not inlcuded Battery). This U disk temperature recorder using high quality sensors, can record 32000 points. USB plug and play make it easy to read data. After the recording points are used up, it can be reset to zero via software. Arinst SSA-TG R2 is a portable panoramic spectrum analyzer designed to display signal spectrums in the frequency range from 35 to 6200 MHz. Arinst SSA-TG R2 is primarily intended for field operation. FNIRSI DSO188 is a super small digital oscilloscope with 5MS/s sampling rate and 1MHz bandwidth is designed for electronic enthusiasts and circuit R & D maintenance personnel. Whether DIY or scientific research education, vehicle maintenance, household appliances maintenance and so on are all good choices. 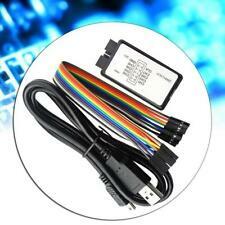 The USB-CAN debugger is a CAN bus debugger with a USB 2.0 interface and a CAN interface. 1 Set USB To CAN Debugger. Protocol conversion between USB and CAN bus;. Type: USB To CAN. Application areas. DSO shell oscilloscope with standard probe. • Trigger modes: Auto, normal, and single. • Observable previous waveform before trigger (negative delay). • Screen size: 52 x 40 mm (2 x 1.57 in). • The SMD has been soldered, more suitable for electronic beginners. 0.96" OLED Music Spectrum Display Analyzer MP3 PC Amplifier Audio Level Indicator music rhythm Analyzer. Support 8 modes display, 3-5v can be used. Number of channels: mono. We are committed to resolve all issues in a friendly and satisfactory manner. IEEE 488.1 transfer rates up to 1.8 MB/s (standard) and 7.7 MB/s (HS488). RoHS compliance; complete IEEE 488.2 compatibility. and Linux computers with a USB port. Built-in 2 m USB cable. Hi-Speed USB compliance. BACK - Hold button 2 seconds infrared lock or unlock. (when infrared lock, as long as there is infrared button signal, the top has a red LED indication is locked). 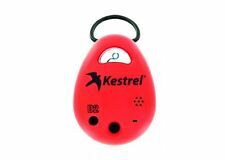 • Infrared remote function. �� The color of the light bar and the peak lamp can be chosen. 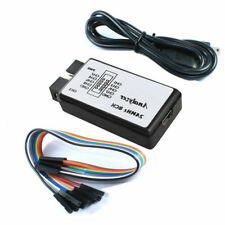 1, 24M 8CH logic analyzer host 1 unit. The performance of Saleaa8 is different from that of salesaa16. The number of channels is 8 and the speed is up to 24M. 2.0 V logic high level. The sampling speed of each channel of the logic is 24M/sec. These cords often break due to repeated flexing around the strain relief. A new Arduino NANO shield，You can get going quickly - saving data to files on any FAT16 or FAT32 formatted SD card, to be read by any plotting, spreadsheet or analysis program. 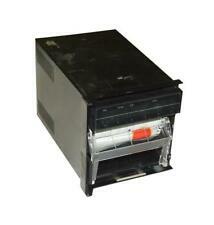 The battery backup lasts for years. It is a must tool for all DIY DJI Phantom Inspire MAVIC Pilot. - Model: N1201SA. - Working currency 140MHz~2700MHz. 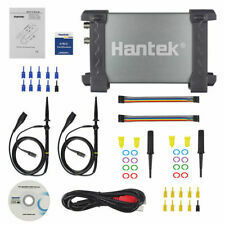 - Try to use good quality RF cable and connectors. - Battery capacity: 2000mAH(7.4Wh). 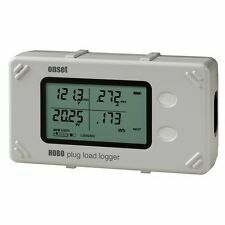 This data logger conforms to GSP standard of new edition. 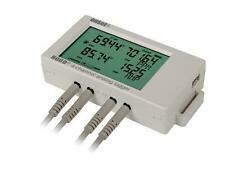 It has one big LCD screen, a button ,an external temperature sensor and an external humidity sensor. It can also automatically shorten the record interval in case of over temperature and humidity limit. It reflects the high-tech, using a dedicated chip has, as the wave function, you can view the waveform signal 20KHz within. MT8205 MT8206. 1 x MT8206 Unit. Bandwidth AC 10KHZ ● ACA/ACV/DCA/DCV 20KHZ. Vector CANcaseXL 2 Channel CAN Interface. Used.